Previous: WHY ARE TEENAGERS DYING THEIR ARMPIT HAIR? Next: BREAK UP PARTIES: ANOTHER SIGN OF WESTERN DECAY? 38 year old Leanna Hogwarts made a shocking discovery at a Plateau based dollar store after purchasing a toy doll that turned out to be full of cocaine. “It was a two dollar baby doll from China,” says Leanna. “Nothing extravagant, just something for my little girl to play with. When I took the doll out of its package, a bunch of white powder started dripping out of its nose." Leanna isn’t a stranger to cocaine. “I used to do it all the time. I mean, we live in Montreal. Who hasn’t done cocaine here?” That’s why there was no doubt in her mind that the white powder coming out of her toy doll was cocaine. “The first thing I did was call the police, the second thing I did was contact the media. I didn’t want the police to charge me with possessing cocaine. I came by it honestly and I only snorted the coke that fell out of the dolls nose." Joe Smorgasvine, the spokesperson for the SPVM, says it’s not uncommon for drug smugglers to sneak narcotics across the border inside cheap Chinese goods. “It happens all the time. We believe that the drug dealers were taking advantage of the dollar stores supply chain in order to get their drugs into Canada. They mixed up some of their own cargo with cargo meant for the store, and that might end up being their undoing." The police are now believed to be hot on the trail of the actual drug smugglers. “We can’t comment more than we already have, since this is an ongoing investigation. We thank Leanna for having alerted us and we invite other Montrealers to do the same. 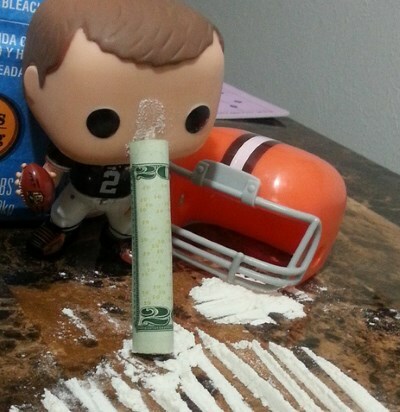 If you ever buy a doll full of cocaine at your local dollar store, let us know."